The car was tinted at the back. Am in shock. What should I do? I want to send an anonymous message to the husband. took a picture. It showed her hair and clothes. But her face didn't show. Her face was in another man prEEk. He must do dna test. Am weak. 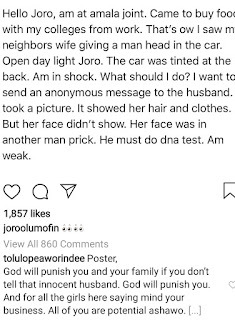 @tolulopeaworindee made a comment; Poster, God will punish you and your family if you don't tell that innocent husband. God will punish you. And for all the girls here saying mind your business. 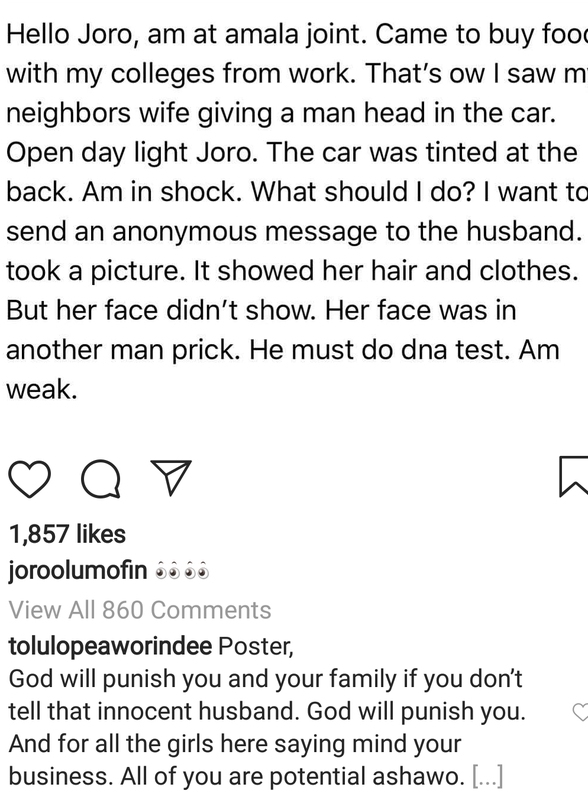 All of you are potential ashawo.